Born in Croatia I have been having seconds and licking my plate since I was at nursery. I cook everyday. And I eat out often. Food for me is not a hobby it’s part of my everyday life and I resent eating a poorly prepared meal. And I love how food brings me closer with my friends and family. Working as a waitress in my student days, in Brighton, I have seen the good, the bad and the ugly. It was really as a waitress that I learnt to expand my cooking abilities although I cooked my first Christmas dinner before I had even left primary school. My mum who is English and from Birmingham always said I’d never starve, gave me the confidence to cook. She gave me two bits of advice, which I have passed on to others. As long as it’s cooked (referring to avoiding food poisoning), you can make it better next time and you can always add more salt but never take it away. After leaving university I qualified as teacher of English, as a foreign language. Food was always a topic of conversation and was always something students missed about home. My knowledge of world foods has definitely improved since. 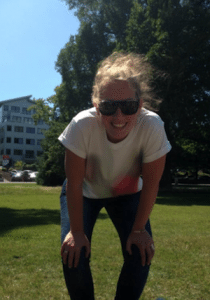 I now run a company, iStudent Services, which helps international students live and study in Brighton. I have always had international students live with me and it is so strange how preparing a meal for each other can really bring you closer together even if you haven’t understood a single word you’ve said to each other. European. It’s what I have grown up with, it’s what I cook and it’s what I chose to eat regularly. I am a great fan of great ingredients, cooked well. My first experience of great food was in my early childhood in Croatia. Fresh produce grown locally in a Mediterranean climate packed full of flavour, which is probably the main reason why Croatian dishes are made up of very few ingredients and very few spices. Although I have trained my taste buds to appreciate other types of cuisine, such as Chinese or Indian, my heart and my taste buds still lie in the Mediterranean. Ok I would go for flavour, but that goes without saying, right? What I really appreciate when I go to a restaurant is that it is well presented. Now I’m not saying that every restaurant has to be a boring, modern copy of one another. What I am saying is, whatever the location or building I want to walk in and see it’s clean, organised and running smoothly. If I have confidence in the restaurant I can have confidence in the kitchen. Happy staff are a sign of good food, great management and no stress, which means we can all get on with enjoying our meals. 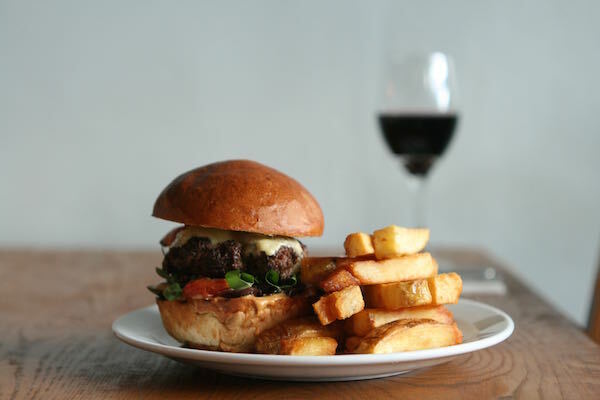 Favourite restaurant in Brighton, Hove or Sussex? I am going to cheat here because it’s absolutely impossible to choose one restaurant in Brighton. I am going to go for my top 3. 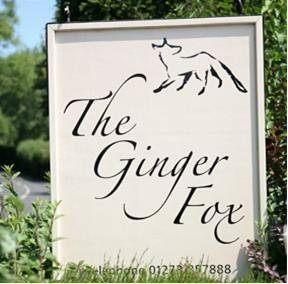 For a quality Sunday roast it has to be the Ginger Fox, Albourne. I love the location, the service is always fantastic and the food is exceptional. I have been here a few times during the week, but I have found the dishes unnecessarily complicated. 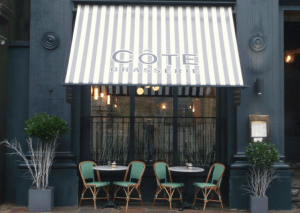 Cote Brasserie, My friends and family, would know I was lying if I didn’t put it on my list. I go here too often. Yes, it’s a chain but it’s a good one. It’s been open 5 or six years and the menu hasn’t changed much. The setting can be as formal or informal as you chose to make it, you know what your getting and it’s an absolute bargain. Finally, it has to be Busby and Wilds. What a place, and the menu is right up my street. It’s just so hard when everything looks so tempting. From the aroma of the kitchen you just know it’s going to taste great. The best part is that I can take my dog!